The news looks bad, yes, but, despite popular opinion, the world probably isn’t going to end tomorrow. And in the meantime, every single person everywhere is listening to podcasts. I may be exaggerating slightly, but the data nearly backs me up on that. And while business is hard, some things are just stupid simple. Like, if you want someone to like you, you should talk to them. It sounds obvious, yet more than a few YouTubers have racked up millions of views telling guys who want to meet women that basic fact. Apparently, it bears repeating. In business, we know that success is directly linked to personability, that people buy from people. And starting a podcast for your business allows the human element to emerge from behind the brand. How do you improve email conversions? Make your emails more human and personable. What makes the most effective website copy? Add that human touch. What’s the best way to build a valuable network? Get out in the world and have actual human contact. Why are podcasts, even business podcasts, in everyone’s ear right now and growing explosively? Maybe we’re all craving that human connection that no amount of snaps and tweets and forwards, retweets, likes and streaks will ever give us. And then there’s the undeniable power of the human voice, subject of a recent BBC forum. For starters, the human voice uniquely connects with some unidentified part of us that responds, and science only partly understands its power to do that at this point. “You get these moments when somebody’s singing to you and it feels like your soul is connected to their soul,” said opera singer Anna Devin on the BBC forum. Another panelist from the forum, Diana Deutsch, is credited with discovering “the speech to song illusion,” which basically shows that there’s little difference between speaking and singing as the brain interprets it. Although we’ve yet to discover the exact mechanism behind it, we know we’re hard wired to read one another based on the pitch range of our voices (that is the highest and lowest sounds a voice produces). We also have a social instinct that drives us to bond over conversation about what’s going on with folks we know and those we don’t. Essentially, a podcast is you using voice to connect directly to customers. And when it comes to podcasting for business, the power of the voice is just the beginning. The power of networking is something else entirely. This week we’re talking about harnessing those powers for your business through podcasting, and the value a podcast can add to a business quickly. Craig Hewitt lives and breathes this stuff. 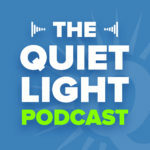 He runs Podcast Motor, a podcast editing and production company, as well as Castos, a podcast hosting platform, and has been podcasting himself for years. I’ll dig into his insight and experiences on what it takes to start a podcast for a business, why you should probably consider it for your business, and where the real value comes from (surprisingly, even if you’re planning an exit). Are exit planning and podcasting mutually exclusive? What do you really need to get started with your podcast? One thing to know about creating your own podcast for a business, according to Craig, is that it can actually be easier than many other types of content you might produce. And one of the greatest benefits of publishing a podcast lies in the quality of the audience you create. A podcast audience is different, according to Craig (and many would agree with him) from an email list, your blog readers, and your social followers. How to describe that difference? Again, with this particular medium, for listeners and subscribers, a human connection with you and your business has already been made. In many cases, with less effort than it takes to research and write a post or case study, or to produce a quality video, you can put out a podcast episode and relatively quickly start building that very engaged audience. Craig strongly predicts that Google will soon begin indexing audio files and says to look for an audio tab in Google in the near future. Producing a podcast for your business does entail some front-loading of effort and preparation, of course, but even without Google’s help, anecdotal reports of the results from those who are doing it are hard to ignore right now. Meanwhile, the data from the past year, while it probably won’t surprise you, may be the final nail in the coffin of any doubts about getting started with this. There are currently over 630,000 podcasts in production. 80% of listeners listen to all or most of each podcast episode. 80% of podcast listeners listen to 7 shows per week. 50% (or 60 million) US homes are podcast fans. Which all explains why advertising spend on podcasts reached $207MM in 2017 and continues to climb at an impressive rate. As well, podcast listeners are increasingly tuning in on their phones, and 22% listen from their cars. Which makes this medium something of a combination of the best qualities of radio (catching people on the go and in their cars, while becoming an intimate part of their daily routine) and television (broadcasting directly into homes). I hate to sound like a covert operator, but a business podcast clearly has the potential to infiltrate the lives of its listeners in a way that other online mediums may not. And people who let you into their lives – those are the customers you want. For a newly acquired business, you may not feel like jumping onto the public scene right away makes sense. But Craig points out that the value you’ll gain from building relationships and positioning yourself at the center of your field by interviewing the influencers and thought leaders in it will far outweigh any drawbacks of being a newbie. Extensive micro-networking opportunities through interviewing others. Staying top-of-mind with those in your field when it comes to referrals. The ability to learn as you go from experts in the space. The organic exposure to other people’s audiences in your space. Endless content possibilities in an easily digestible format. What would Craig do if he were podcasting for a newly acquired business in a space in which he didn’t have a ton of experience? Interview the 50 most influential or experienced people in that space and ask them his top most pressing and relevant questions. Boom – that’s 50 episodes of compelling and useful content, which is highly shareable, and can be used to build an audience quickly. For a B2C company, you may need to go a different route, but you can still use the medium to produce similar results – recognition, rapport, and the creation of loyal fans. Create useful content built entirely around serving your target customers’ needs. For instance, if your target customers are parents, you produce content related to raising kids. Approach the podcast as strictly a branding opportunity. In this case, you sponsor creative content produced by a third party, or an agency such as Pacific Media. Popular shows like Serial and The Mystery Show, for instance, have entertained listeners while providing exposure for a brand to a built-in audience. Two examples of B2C companies that I know of that run their own podcasts (using the #1 route) while selling T-shirts on Amazon and through their own websites: Threadless and Boredwalk. The questions around building a podcast for a business you plan to sell are many. Aren’t you supposed to take yourself out of the business as much as possible to facilitate a transition to a new owner? If a podcast is all about relationships and creating loyal listeners, wouldn’t that loyalty to you as the owner ultimately be counterproductive in a sale? Important issues to consider, but issues that both Mark and Craig agree a seller could easily handle with a little advanced planning. As long as you avoid a couple major mistakes, the podcast should add enough value to your business that the overall net positive gain will easily outweigh any potential negatives. What are those mistakes as Craig sees it? On the buyer’s part, acquiring the business but then dropping the ball with the podcast. That would be damaging to the brand. Failing to provide enough structure and basic operating procedures related to the podcast production for the new owner. In other words, if you’re winging it when it comes to production and planning, you’re setting the new owner up to fail, so SOPs and a not-so-DIY approach would be best here. He also points out that buying a podcast itself is currently a smart customer acquisition strategy. Businesses have been known to acquire a podcast for its built-in audience alone. At the end of the day, though, the handing-over process for a business podcast can be addressed strategically in a way that preserves its value to the business’s bottom line. And overall, the podcast adds incredible value as another customer acquisition channel. First and foremost, you need a dedicated media hosting platform where the audio files will live, much like you’d host videos with a third party, to alleviate strain on your webserver. Soundcloud, Craig’s own Castos, and Libsyn are examples of hosting platforms. These protect your website load time, as well as maintain the quality of streaming for the listeners. From there you need a microphone and headphones to record your voice and then software such as Audacity, which is free, to capture and then edit your recordings. With a service like Podcast Motor, you can simply record a podcast, place the audio file in Dropbox, and let them handle everything from there. That means you sit down to record your show one day, and then a finished podcast appears in iTunes a week later. What exactly will services like Craig’s handle for you? If you’re like me, the first time you hear all of this, it seems way too easy. Fear of being judged for putting themselves out in the public eye (or in this case ear). Running a podcast in conjunction with a business still has a sizable barrier to entry thanks in part to those fears, and that’s a good thing. Podcasting provides another way to differentiate your business and reach more customers by going where the competition isn’t willing to go. Acquire a decent microphone or use Apple earbuds, which produce an acceptable sound. Download Audacity and use it to record your audio file. Choose a platform on which to store your files, like Castos or Libsyn. Create an RSS feed which the podcast directories will read. From what I understand, the RSS feed is critical, because podcast directories like iTunes and Stitcher don’t store any of your podcast information, they just read it and display it for you. And the RSS feed is something you set up on your hosting platform. This means that your podcast is published to your feed, and then the directories update your podcast listing – both the listing of the podcast as a whole, and the episode-specific listing. If this seems complicated, don’t worry. Your podcast hosting provider should have all of these items and more available for you to easily configure on a dashboard. Is testing out a podcast simple? Not completely, but it’s doable – and once you run through all the steps, it does become much easier. By all accounts, the potential value from adding a podcast to your business is worth the effort. It creates an audience of loyal listeners who will eventually welcome you into their cars and homes and weave your business into the fabric of their lives. The value of that level of connection would be hard to quantify.